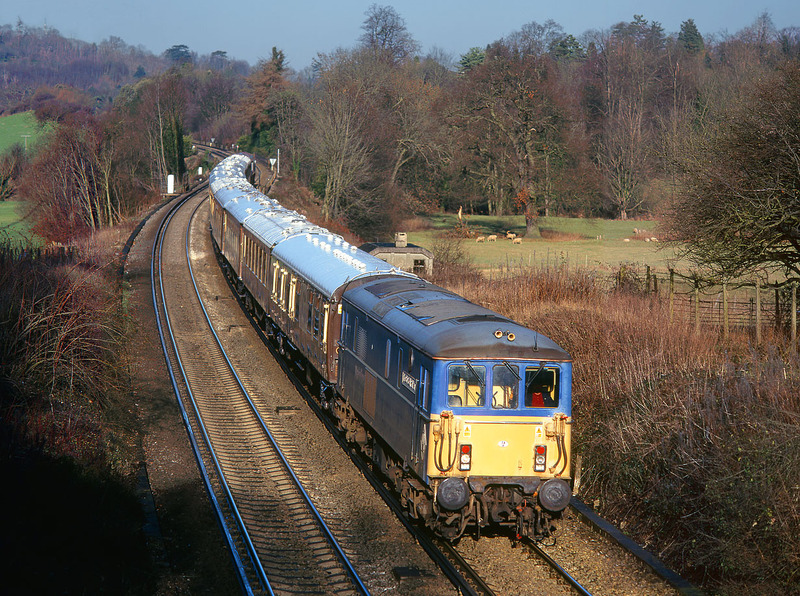 73133 The Bluebell Railway approaches Westhumble on 7 January 2001 with the 11:00 Victoria to Horsham VSOE luxury charter. 59205 is on the rear of the train. Finding a location in heavily wooded Surrey that was clear of shadows in early January was not an easy task!